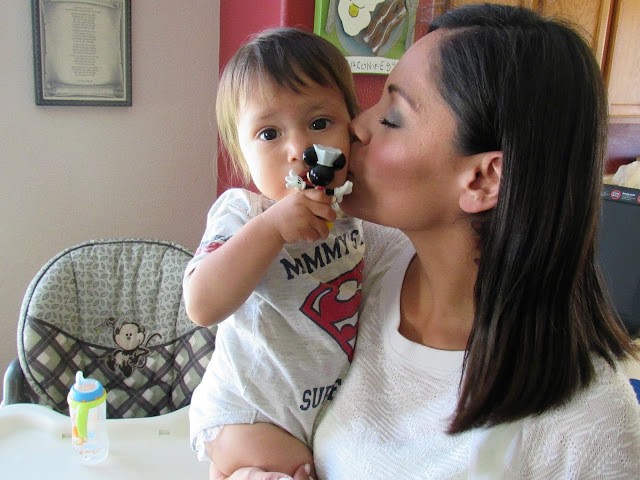 I am so excited to be collaborating with Johnson's Baby and Latina Bloggers to bring you today's post. All opinions are my own. If you have been following my blog for a while you will remember that Johnson's is a brand I trust. ( I last wrote about them here.) 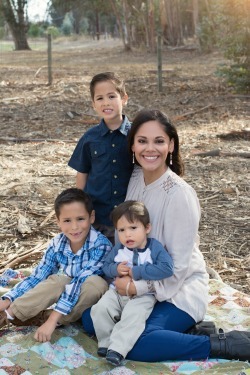 Since becoming a mom I always wanted the best for my kids. With Johnson's I know their skin is well taken care of. 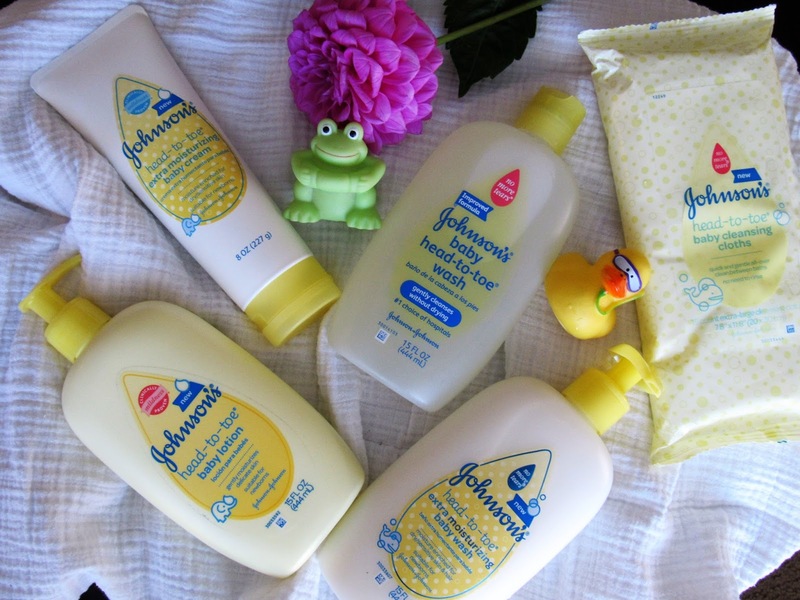 Recently Johnson's brought out a new line in their baby care with Extra Moisturizing properties. Babies skin is already soft, however it is still developing and it is more vulnerable to irritants than a normal adult's skin. 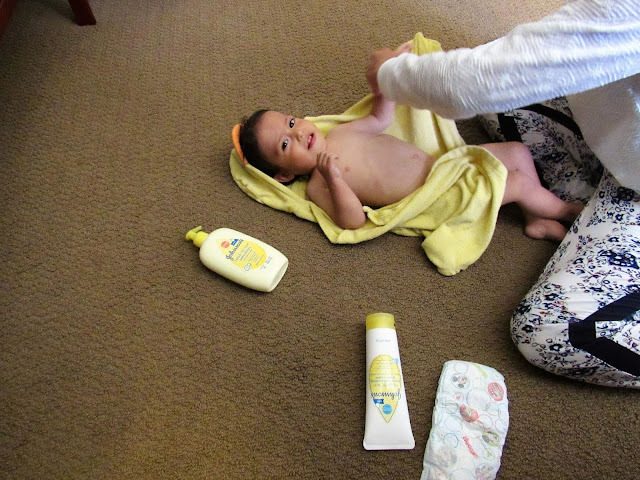 Babies skin is also likely to absorb moisture even quicker than adults skin and likely become even drier. Johnson's has been trusted by hospitals all over the world for years! 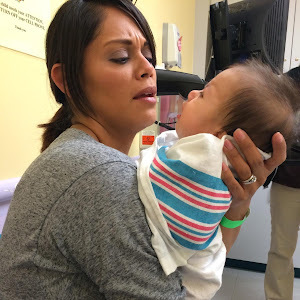 Gentle enough to use from a baby's first day of life, Johnson's is paraben free, soap and dye free, hypoallergenic, non irritant and dermatologically tested. Josiah loves bath time. He could be in the water all day if it were up to him. 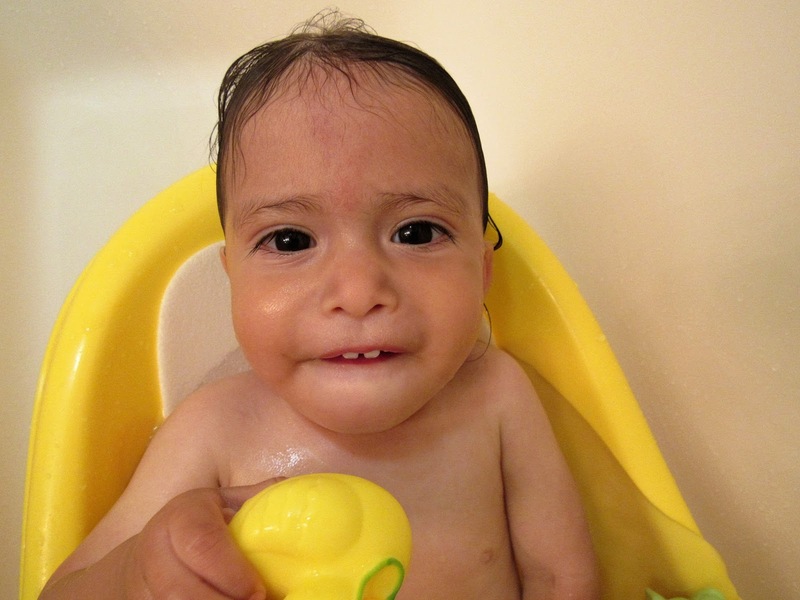 Having been born with Clubfoot we really take advantage of this time to do some massages, stretching and lots of splashing with his feet. It's our little ritual! All 3 of my boys have had mild cases of eczema and for that reason I love the Johnson's head-to-toe extra moisturising line. It works wonders for my babies with sensitive skin and it actually holds 10 times more moisture than the standard head-to-toe wash. 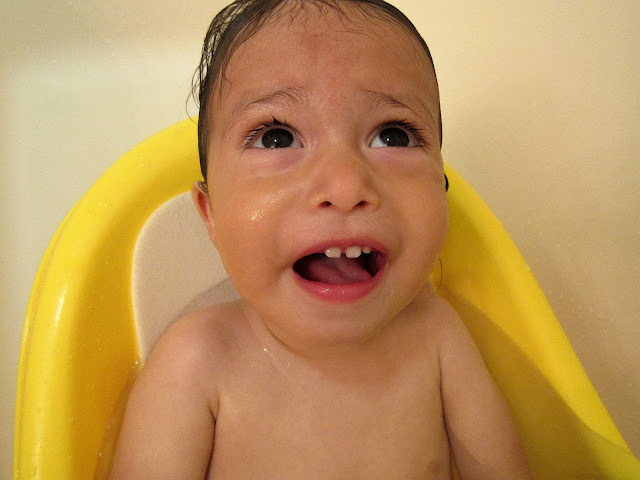 If you have a child who suffers from really dry skin I highly recommend it! 97% of mothers who have used the extra moisturising line have seen a difference in their child's skin within 7 days! On days when I am on the go and have to get this little guy cleaned asap I love using the head-to-toe cleansing cloths. 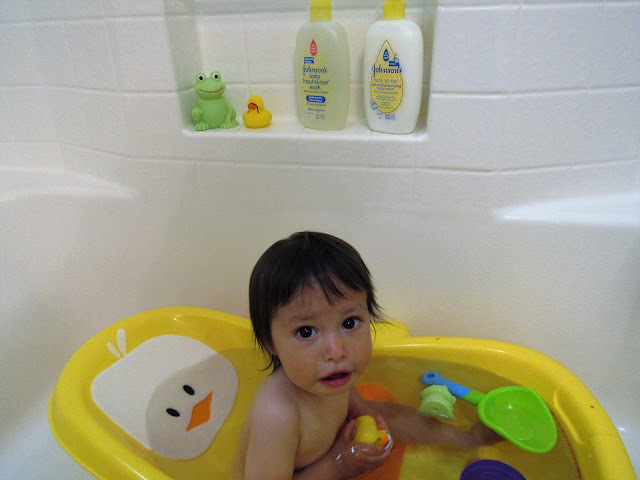 Let's face it with my hectic schedule there are days when I can't fit in a bath for him. With the cleansing cloths I get the clean and gentleness without the muss and fuss of the bathtub! 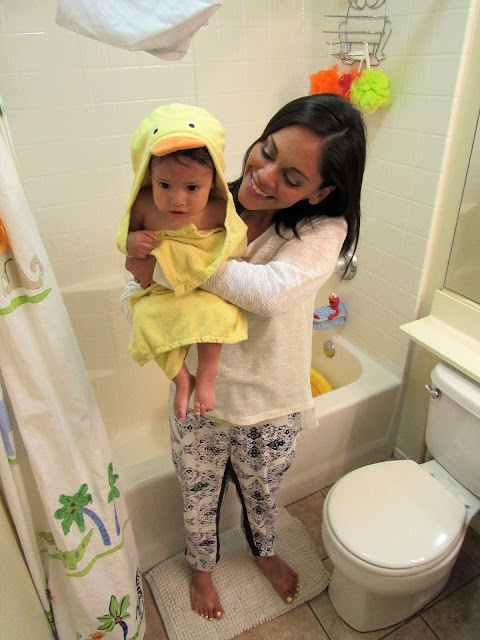 I think our bath time routine has always been special to me because I take this time to pamper and bond with my baby. I use the Johnson's head-to-toe extra moisturising baby cream to rub and massage all over Josiah's body. 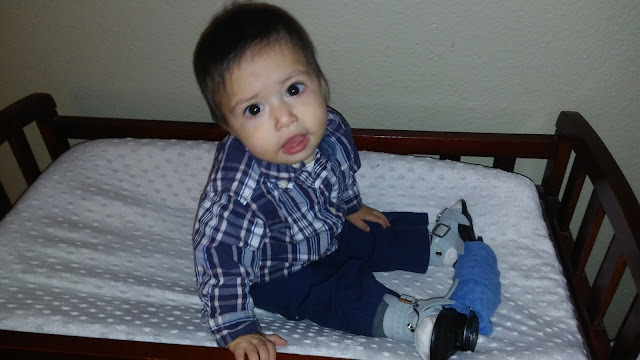 I do emphasize a lot on his legs and feet due to his clubfoot. I trust Johnson's to keep Josiah's skin nice and soft while in and out of his boots and bar. 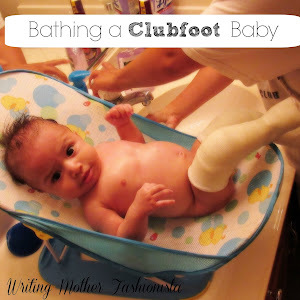 To all you clubfoot mommas, this is the time you want to do stretching of the tendons. Check the dorsiflexion of your little cutie. This time is key to prevent from any relapse. 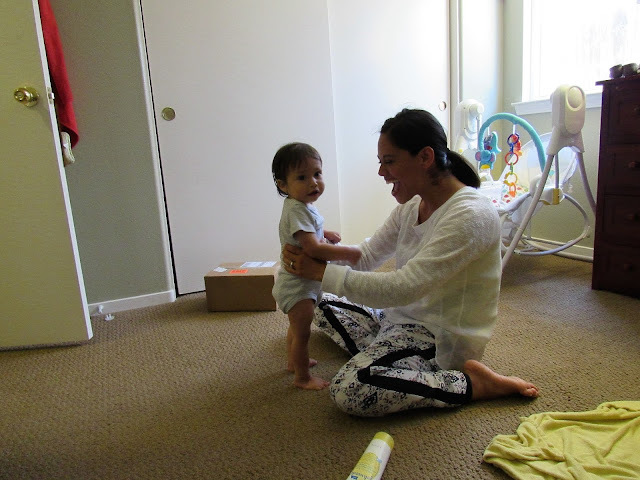 Josiah loves being pampered and I love knowing when he is on the go his skin is being nurtured for up to 24 hours with Johnson's! 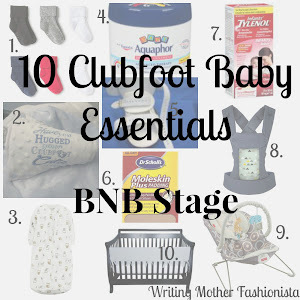 As a clubfoot mom these moments are special for me. The sight of him standing on his own 2 feet. Priceless! Have you tried the new Johnson's Baby Extra Moisturising Head- To- Toe? 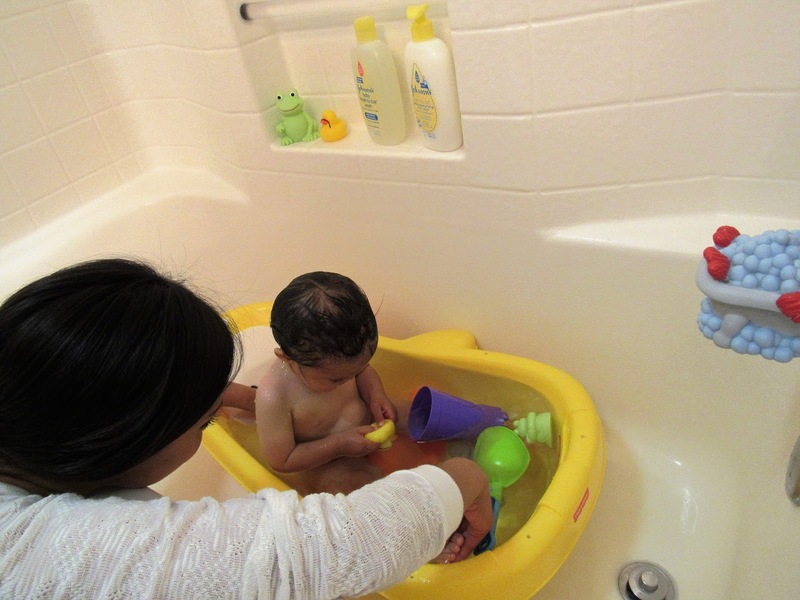 I would love to know your baby bath time rituals! Share in the comments below. Thank you so much beautiful momma! Johnson's is the best. Great moms think alike! Johnson's is a very popular brand and it deserves to be! It's great for sensitive skin! You are so right Aleeha! Thanks so much for stopping by! Awe. It looks like your bath time is so special! 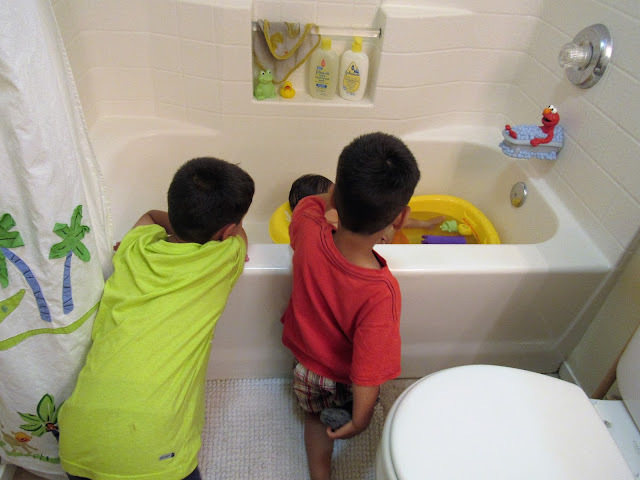 My twins have pretty sensitive skin and tend to get dry patches in the winter. 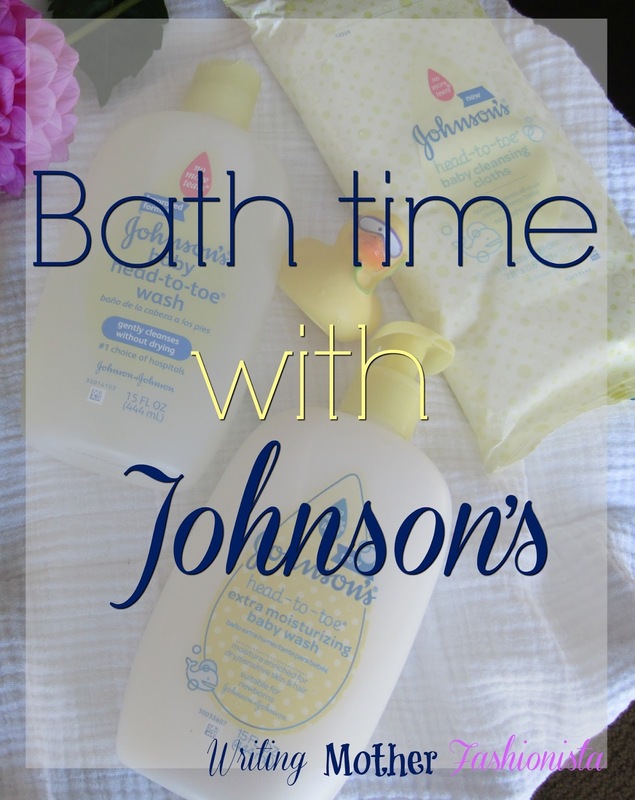 I haven't tried Johnson's extra moisturizing yet, but it's on my list now! I love their calming bath soap and lotion with the touch of lavender. I used to use the lavender one on the boys all the time. Then Abram said the purple bottle is for girls, so he won't use it! Haha. You are so sweet Marina, thank you! I appreciate that so much! They are some of my favorite! Awww...those sweet baby cheeks make me smile! Bath time is such an important time for bonding and I'm so glad you shared about the Johnson's extra moisturizing - I'll definitely buy it next time! You definitely spread motherhood happiness with all the love in your photos! Thank you so much Erin! I go nuts over those cheeks! I kiss them literally all day! What a precious little babe!! 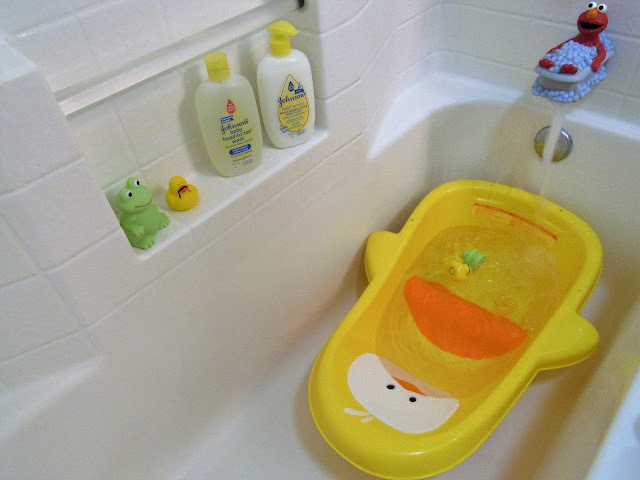 And I just love his little baby bath!! Adorable. Isn't it adorable! 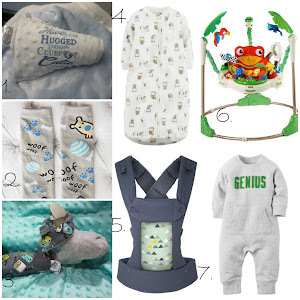 I love those little animal bathers. Thanks so much for your comment!